1. Like One Day AND Sachico Shop on Facebook. Post this as your Facebook status: “OMG! 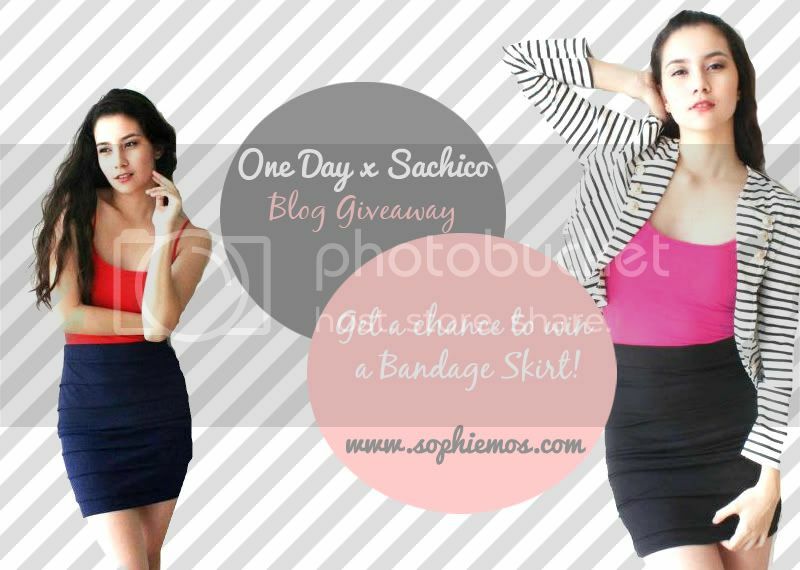 I want to win a bandage skirt from @Sachico Shop at www.sophiemos.com! Check @OneDay to win amazing prizes!” Make sure you tag One Day AND Sachico Shop. Also make sure your account is set on public, so that I can verify it. 3. Follow me on Twitter and tweet: “OMG! I want to win that bandage skirt at www.sophiemos.com!” No need to tag me! Make sure to set your twitter accounts on public so that I can verify the tweet.